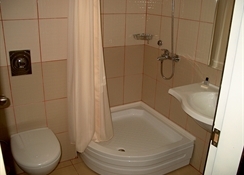 This friendly hotel is located in the popular holiday region of Ã‡olakli on the Turkish Riviera. The historic town of Side is 9 km away, Manavgat 12 km. The private sandy beach is 600 m from the hotel, there is a free shuttle transfer. Antalya International Airport is 55 km away. The hotel features 90 rooms, lobby with reception, WIFI, TV room, restaurant, bars, wellness, outdoor pool and children's pool. 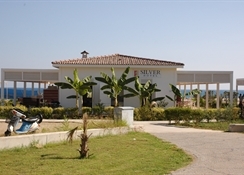 General Description:Silver Hotel is located 600 m from a sandy beach. 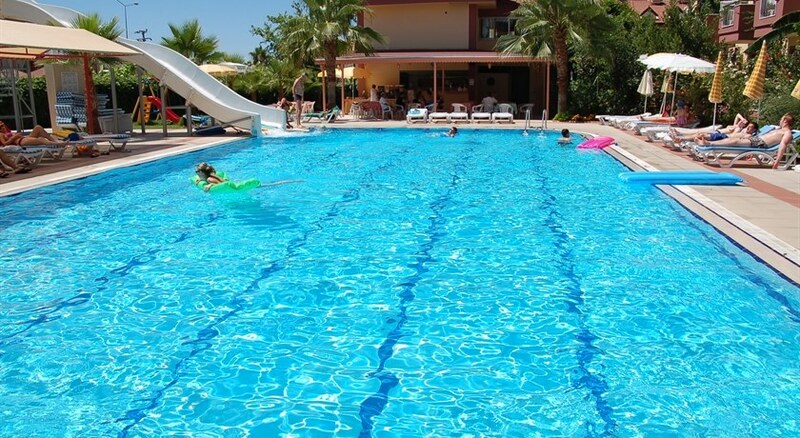 The closest cities to the hotel are Manavgat (12 km) and Side (9 km). To make your stay more comfortable a lobby, air conditioning, a lounge and a reception are available. The staff in this 3 storey hotel speaks English and German. A playground for children is available. For guests who wish to be mobile, car rental can be arranged. A fresh water swimming pool, seasonally open with a separate children's pool is available. Guests can unwind with a drink at the poolside bar. Sunshades and sunbeds are available free of charge at the beach and at the pool. 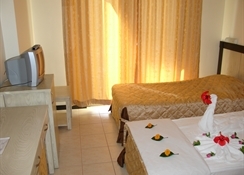 The hotel is within easy reach of shops, bars and restaurants, disco and supermarkets. Distance from the hotel to: airport AYT (55 km). For your entertainment the hotel features a TV lounge. Vehicles may be parked in the parking lot. Amenities:For convenience the following services are offered: wake-up service, a safe, currency exchange and maid service. Internet access is provided at wifi-hotspots. Reception hours: 24h Service. 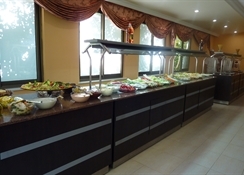 Meals:The breakfast type is Buffet and it is provided from 07:30 - 09:30. A snack bar is also available throughout the day. Evenings can be spent at the lobby bar. Sport and Leisure:Activities such as table tennis, darts and billiards are offered at the hotel. Guests who wish to be active on holiday can enjoy activities such as beach volleyball. Wellness and health facilities are offered where guests can relax in a sauna, during massages, in a hamam and at a Turkish bath. Water sports such as jet skiing are available at the beach by local providers. Additional Information:Additional fees may apply for certain facilities, amenities or activities. The Silver Hotel makes a new Building next to their hotel. The construction will stop at the 15.05.2019. The Guests will not be allocated the rooms at the newly constructed site.